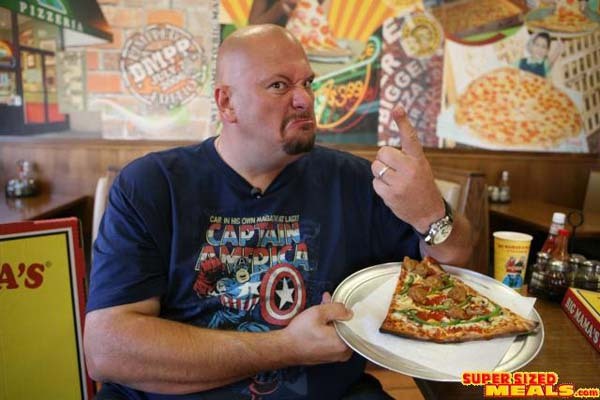 SupersizedMeals.com - World's Longest Journey for a Giant Pizza? 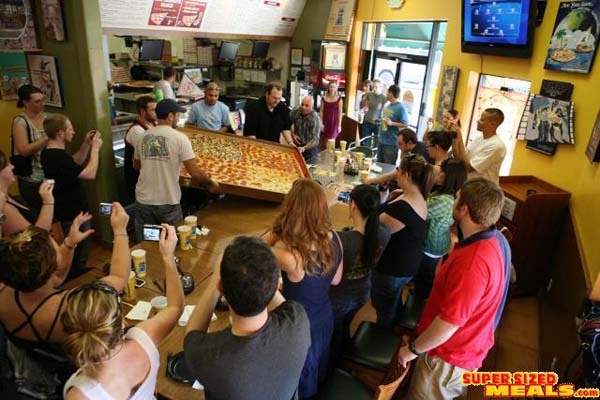 World's Longest Journey for a Giant Pizza? Not sure if the record actually exists, but if it does I'm sure this feat would have to be the winner! Art from 36pizza.com tells us that a group of Alaskan Airline employees recently travelled from Seattle to Burbank, then onto 36 Pizza just for a slice of the World's Largest Deliverable Pizza, the 54 inch Giant Sicilian. They weren't there to see the sites, they came for just one thing.... pizza! Now that's what I call first class! 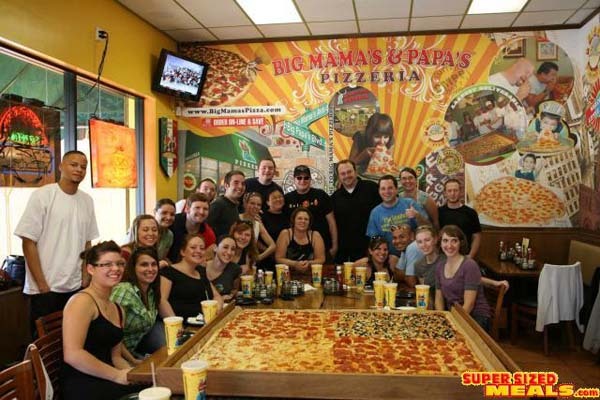 I think this (Image) can break a Guiness Record for Largest Number of People traveling over 1000 miles to eat pizza at the same time in the same pizzeria; today Alaskan Airline employees flew from Seattle to Burbank Airport and came to Big Mama's & Papa's Pizzeria in Little Armenia to eat the 54 inch Giant Sicilian Pizza, they came to LA just for that.